What is SAP FIORI and UI5? Welcome to the world of SAP FIORI ! You are going to take deep dive into this New User Experience. Embrace Yourself and enjoy the ride. All the best ! If you’ve ever worked with SAP ECC or it’s other applications, you would know that even though the functionalities are quite caught up to the industry standards, the user experience leaves much to be desired. With the advent of smartphones and fancy UI(User Interfaces), SAP realized that it had some catching up to do. This led to SAP’s launch of it’s new and innovative user Experience in November 2013, which termed as SAP FIORI. Existing SAP consultants would have already come across this new User Experience for Business Processes. If not, then below is the Screen commonly called as SAP FIORI Launchpad which provides collection of all SAP FIORI Apps by simply running a URL in your Browser like we visit any website. Now I know this raised excitement levels along with more questions – What are these white boxes? What are these headings on top? Well.. Those questions will be addressed in the following tutorials in a comprehensive manner.I know as consultants, you would like to ask your customers to buy this new License and start developing magical screens for the users. But you need to know that you don’t pay for the License, your client does. How will you answer the below question? Why should I spend money on SAP FIORI when all business processes are working fine already? Don’t sweat .. The best way to prove something is to actually do a quick demonstration. 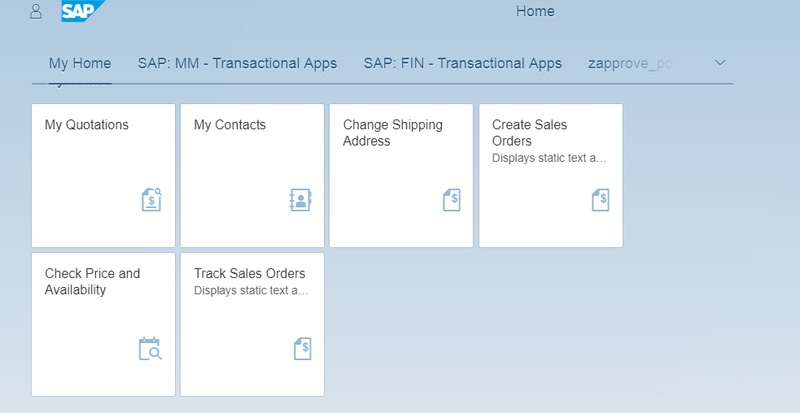 Let’s try to take a use case where the user needs to approve a purchase order and understand how easy (or difficult) it is to do it via the SAP TCODES and the SAP FIORI launchpad. Now, once you double Click on work item, it will show you details of PO, which is nothing but T-code ME29N. Then, Approver can release PO by clicking highlighted icon. Let’s perform same action on FIORI. SAP has standard app for this – My Inbox. Once user hit URL in browser he will get below Application. Have you noticed the difference? 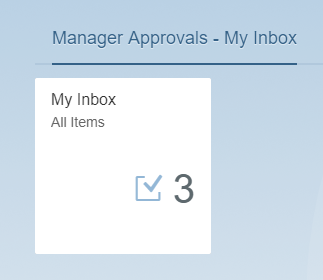 No need to remember any T-code for approvals using FIORI and you have interactive screen look also. This reduces the effort as well as time and money spent on training the end users. Yes – Money is saved. Fine. But we have already Frontend as – Webdynpro and Enterprise Portal fulfilling mostly business needs. Then, why to move to another Frontend Technology? Although, above mentioned Frontend technologies are still widely used but major drawback with these is, non-responsive behavior on devices. i.e. they work efficiently only on Desktops. We have transformed our hardware devices from Desktop box -> LCD -> tablets -> Smartphones, So similar transformation is required from software perspective. Imagine, you are on the way to Board meeting to discuss about Sales and you can see latest results of Sales of your firm on your Smartphone graphically, categorized as per – region, company code, year, Quarter, month, week. Can be accessed on all devices – Desktop, Mobile, iPad etc. SAP has delivered around 9000 + FIORI Apps for business needs including S/4 HANA, apart from these User can design Custom Apps as per their requirement from scratch. SAP FIORI is based on SAP UI5 Framework. It is analogous to what ABAP does in ECC and SQL does in HANA. In short, SAP UI5 is used to design all above applications or in layman’s terms It is the coding language for SAP FIORI. it is also available as free license in public domain, which is known as Open UI5. I hope the first UI5 tutorial was clear to understand. Please Share this Tutorial with your colleagues on social media to support this website. Comment with your thoughts and questions. What are FIORI & UI5?